The meetings also drew the ire of protestors that showed their displeasure by covering themselves in molasses. 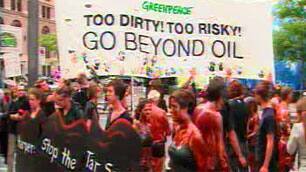 The demonstration organized by Greenpeace was aimed to put the focus on developing clean and safe energy. The CEO of Shell says the risks associated with natural gas are worthwhile. I imagine they aren't drilling in his neck of the woods. 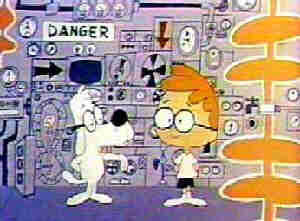 Time to climb into the Wayback Machine and join Peabody and Sherman as they try and find the missing fuss over the Afghan detainee issue. Remember those heady days when the Harper government was about to fall and all seemed right with the world. (Maybe they can also find the ball the opposition parties dropped and seemed to have lost in the neighbours backyard.) To kinda quote Mr. Dumas the plot is thickening according to a story by the CBC. Canada's defence department has been conducting a probe into the conduct of Canada's top secret special forces unit known as JTF2 or Joint Task Force Two. The investigation which began in 2008 is investigating the units alleged role in detainee abuses. Not much is known about the units duties but it has been disclosed that they have been involved in high-risk operations against the Taliban and al-Qaeda commanders. The basketball analogy got me thinking, SWEET DREAMS EVERYBODY!